In 2019, Durrmu Arts Aboriginal Corporation is set to grow thanks to our successful application to the Creative Partnerships Australia Plus1 Matched Funding Program. Durrmu is one of 44 arts organisations chosen from around Australia alongside major names such as the Sydney Youth Orchestra, the Darwin Aboriginal Art Fair Foundation, and The Wheeler Center. 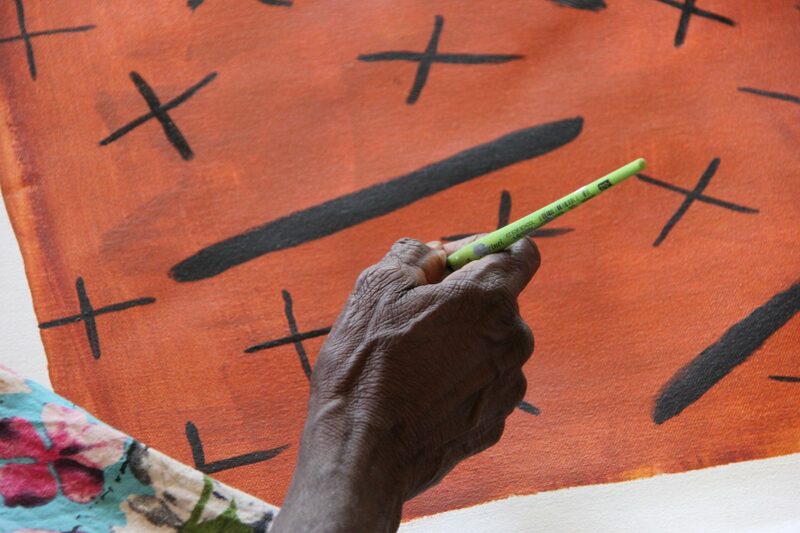 Durrmu Arts Aboriginal Corporation is the most active cultural organisation in the Daly River Region, located 300 km south west of Darwin in the remote Northern Territory community of Peppimenarti. We offer cultural education, training and services to over 200 local and neighbouring community members. A center for the arts, a keeping place for traditional culture, and a hub for community development – Durrmu’s primary mission is to engage community members in the practice, preservation and transmission of culture through the facilitation of cultural programs, training workshops, and educational opportunities. We ensure that all of our programs deliver sustainable outcomes for community in the way of education, employment, and cultural literacy. As such, all donations will be put towards the strategic development of our community programming, award-winning arts, language and cultural projects, and art centre infrastructure. To arrange a meeting with Durrmu’s Executive Director Kade Mcdonald, please email kadepjm@gmail.com or call him on 0487 085 846. Double the value of your donation! Thanks to Creative Partnerships Australia’s Plus1 program, every dollar you preference to this campaign will be matched dollar for dollar, up to $25,000.